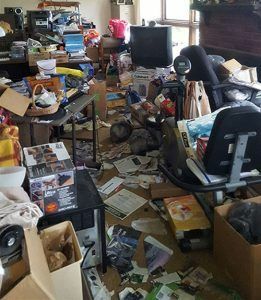 While popular television shows cast hoarders in a sensationalistic light, those who care for someone with this unfortunate disorder know that hoarding is no made-for-TV matter. You’ll provide any needed dumpsters or we can provide them for a charge. We’ll haul everything away - typically, it's not possible to recycle or donate items from hoarder homes. Learn more about these additional services - designed to make your experience as simple and hassle-free as possible - on our Turnkey solutions page, then call us today for a prompt and courteous on-site estimate at no cost.